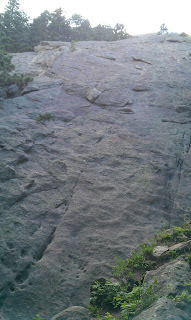 I haven't been back to the second flatiron for awhile -- it's not my favorite scramble, but it is a good one. 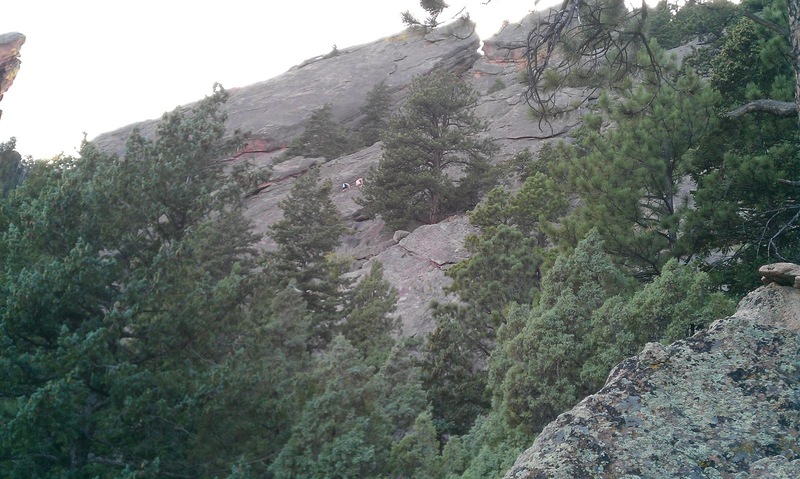 It makes for a good after work climb where you can get done before the sun sets. Here you can see some of my scrambling brethren. 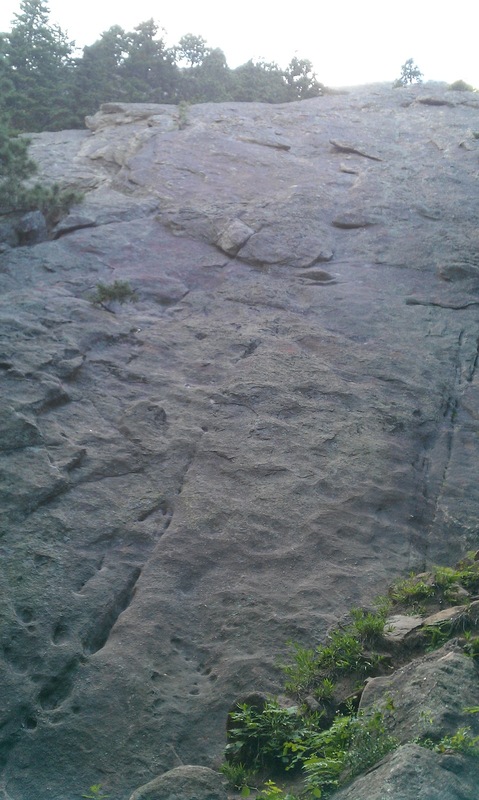 Today I climbed the Dodge Block line on the Second Flatiron. It is a bit easier in my opinion than Freeway. You can actually make it as easy as you like by trending left. Here's a picture of the first pitch. On this day I not only saw the scramblers in the first photo, but also some roped climbers on my route. I stayed left of them and actually climbed below the rock that requires a "flying leap". By staying low and left, I found an enjoyable line that I hadn't explored before. 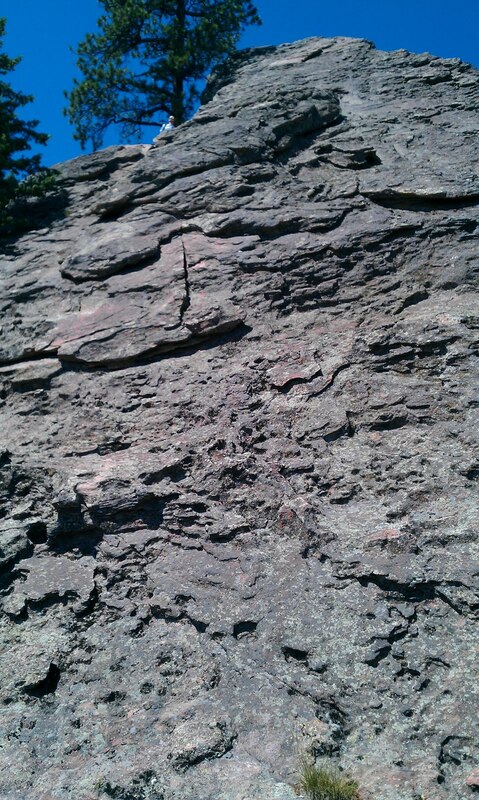 I also climbed higher than normal. The final pitch just to the north of the pullman car has an easy escape. But it isn't visible as you ascend, so it takes a bit of faith unless you remember the ending. 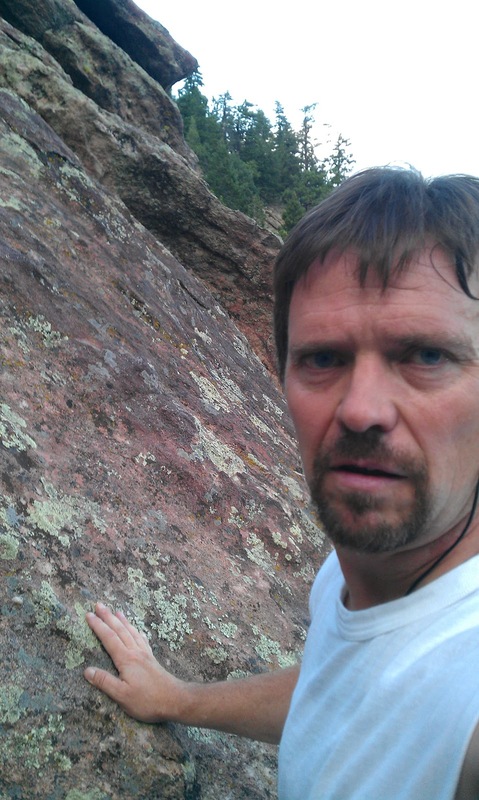 Normally I prefer to try new trails and new routes. 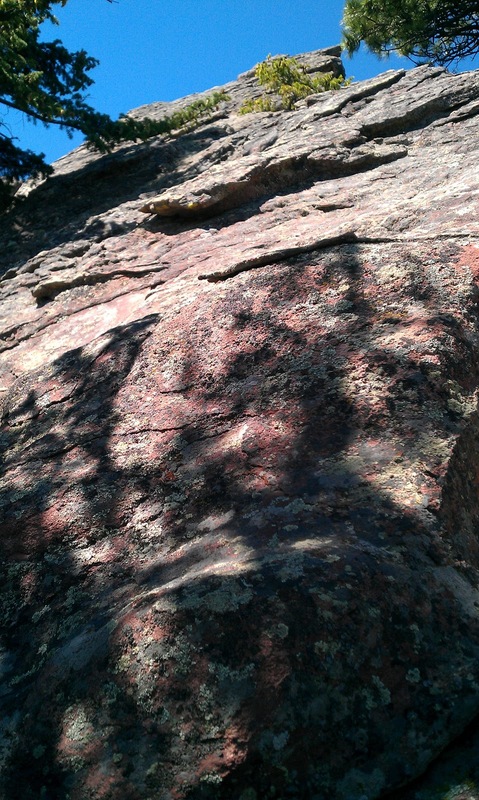 There is so much in Colorado to explore it would take several lifetimes to see it all. But one climb I return to again and again is the El Camino Royale. It is the perfect balance between accessibility, excitement, and fun! You can string together El Camino Royale, Royal Arch, Yodeling Moves, Lost Flatiron, and Fern Alley for a wonderful day of scrambling. 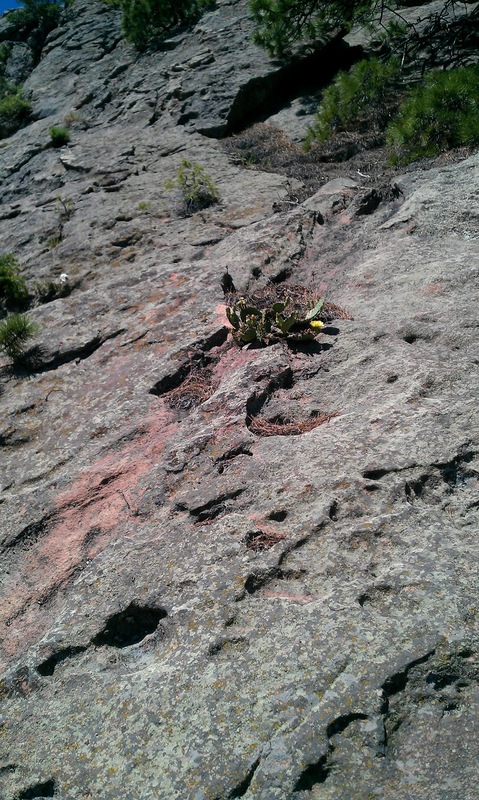 Here's a picture of the middle pitch on El Camino Royale. 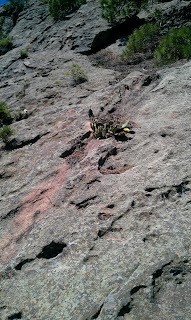 While you are heads down climbing, don't forget to look for cactus! 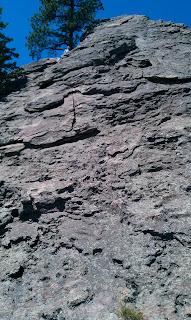 The upper pitch was a bit shaded making for a nice bit of scrambling. There are many lines to take up ECR, but the middle shady was my choice today. The final pitch is a must do on most days. To give the folks at the Royal Arch a thrill seeing you at the apex is only right. But the downclimb is a bit more work than I want on some days and can eat up twenty minutes of time. If I'm in a hurry, I skip this pitch and head over to climb the Arch. I have also done the downclimb off the face of this top when I don't mind the exposure. 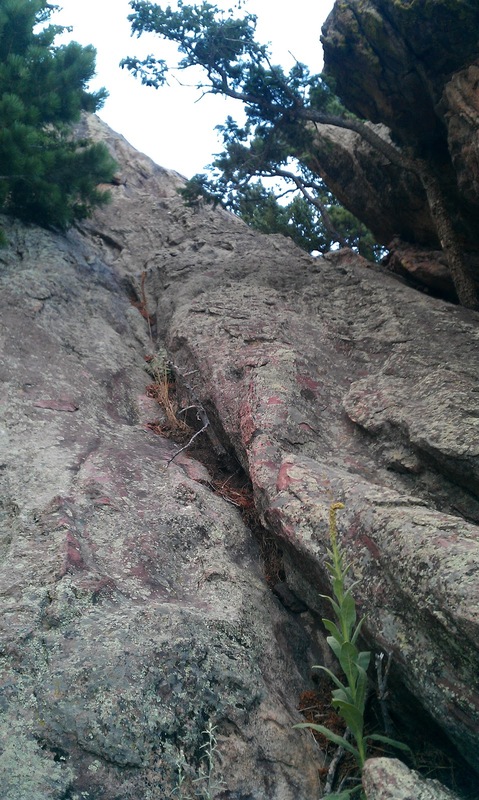 Great day in the flatirons!